WidowsPeak is a true legend in the hair regrowth world. He studies the art of kung fu and was taught by the masters high on the mountain. He regrows his locks by the force of his amazing personality. He then shares the secrets of his regrowth with the whole world for free. You are the original WidowsPeak. The other widowspeaks are cheap imitations just trying to steal your thunder. First, go for years without touching a woman. » WidowsPeak is a true legend in the hair regrowth world. » then shares the secrets of his regrowth with the whole world for free. » You are the original WidowsPeak. » First, go for years without touching a woman. That was rude Hangin but it’s not unexpected from someone that has such an ineffective regimen such as yourself. BTW…the “so-called” Original Widowspeak, that is impersonating me, is on GIB as Combin the Barbarian. I’m currently experimenting with Maca as I’ve researched lots of good things about it and it’s body rejuvenating abilities. See you and Kramer at GIB some day so don’t get “dirty”. » ineffective regimen such as yourself. » GIB as Combin the Barbarian. its rude to diss some moron who is obsessed with widows hair? hey is that one of your other fake nicks…wookster…Kramer? » things about it and it’s body rejuvenating abilities. » See you and Kramer at GIB some day so don’t get “dirty”. » » things about it and it’s body rejuvenating abilities. » » See you and Kramer at GIB some day so don’t get “dirty”. Tell me about the maca widowspeak. Oscar the Grunge has been doing some amazing research and has discovered a replacement for minox using magnesium sulfate(epsom salts) in a vehicle of prop glycol. 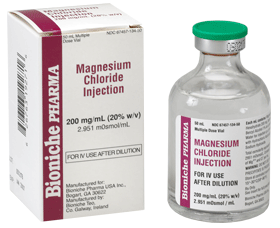 Magnesium is a potassium channel opener like minox is and it should have a half life better than minox. » should have a half life better than minox. "Along with some other groups, we have discovered that when magnesium is applied to calcium-activated potassium channels, these channels will open. We know from literature that the opening of these channels can reduce blood pressure." » » should have a half life better than minox. » applied to calcium-activated potassium channels, these channels will open. Is Oscar planning on testing this new find himself? It looks like the group over at GIB are the leaders in natural regrowth and I’ll be back soon with my updated pics but I’m leaving the link to my blog here. I also see that Kramer at GIB is wondering why Hangin doesn’t visit GIB and tell his amazing degrowth, I mean regrowth, story. What’s he afraid of? My pics speak for themself so I wonder when Hangin will post his amazing pics. » » » things about it and it’s body rejuvenating abilities. » » » See you and Kramer at GIB some day so don’t get “dirty”. » Tell me about the maca widowspeak. » Is Oscar planning on testing this new find himself? » Are you gonna try it? The beauty industry will enjoy having at its disposal transdermally applicable magnesium since it will help its clients actually look better. It will even stabilize and promote hair growth, such is its power on the cellular level. » applicable magnesium since it will help its clients actually look better. I will be keeping my eye on Oscar the Grunge at GIB to see how his testing goes. Looks very promising. Oscar better be careful because I know Hanging is monitoring GIB and he will try to lay claim to topical magnesium as his find if it is successful. Yeah, I saw Gonad the Barbarian’s post about Hairy. Looks like GIB just isn’t the same without Hairy. I hope he returns soon. » » the cellular level. » goes. Looks very promising. » Yeah, I saw Gonad the Barbarian’s post about Hairy. what is there to talk about? why lawrence disappeared?